These Spanish hanging baskets and free standing garden planters are made are traditionally styled ironwork. These gardening planters are Made in Great Britain hand crafted from steel and then hand welded to produce a superb and long lasting product. These metal planters are plastic coated to with stand any weather conditions. 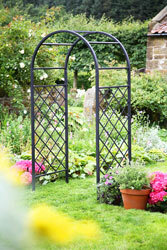 These metal gardening are heavy duty and top quality and will last you years. These metal hanging baskets have detachable arms for easy planting. Scrolled hanging ring and spiral finial. 35cm diameter. Please note wall bracket not included. Traditional coco fibre Basket liner to fit Spanish hanging basket. Strong and long lasting. These metal hanging baskets have are a n unusual design with sturdy hanging ring. Deep planting hanging basket with detachable arms. Traditional coco fibre Basket liner to fit Castillian hanging basket. Strong and long lasting. These wall baskets are have a scrolled hook for easy hanging. Traditional coco fibre Basket liner to fit Spanish wall basket. Strong and long lasting. These gardening planters are a heavy duty one piece construction patio flower urn. 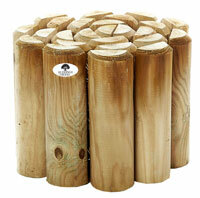 These hand made planters have double scrolled legs for strength and detail. These metal garden planters are top quality. Size: 43cm High x 33cm Diameter. Traditional coco fibre Basket liner to fit Garden Urn Planter. Strong and long lasting. 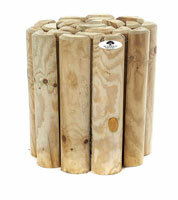 These gardening planters are a heavy duty one piece construction large patio flower urn. These hand made planters have double scrolled legs for strength and detail. These metal garden planters are top quality. Size: 53cm High x 40cm Diameter. Traditional coco fibre Basket liner to fit Garden Urn Planter - Large. Strong and long lasting. 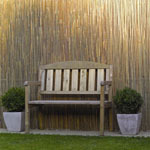 These cauldron planters are ideal for patios or can be used from hanging bracket. Traditional coco fibre Basket liner to fit Cauldron Planter. Strong and long lasting. These garden trough planters are a heavy duty one piece welded construction. 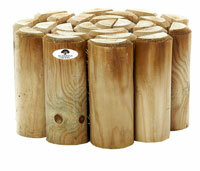 These hand made planters have double scrolled legs for strength and detail. These metal gardening planters are top quality. Size: 40cm High x 75cm Wide. 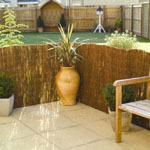 Traditional coco fibre Basket liner to fit Trough Planter. Strong and long lasting. These metal 2 tier planters are a heavy duty one piece welded construction. These hand made planters have double scrolled legs for strength and detail. These metal gardening planters are top quality. Size: 85cm High. - Top Basket 30cm diameter,, Bottom Basket 40cm diameter. Traditional coco fibre Basket liner to fit 2 tier Planter. Strong and long lasting. 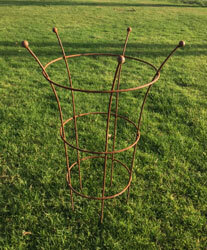 These metal 3 tier planters are a heavy duty two piece welded construction. These hand made planters have double scrolled legs for strength and detail. These metal gardening planters are top quality. Size: 95cm High. - Top Basket 30cm diameter, Middle Basket 35cm diameter, Bottom Basket 45cm diameter. Traditional coco fibre Basket liner to fit 3 tier Planter. Strong and long lasting. Size:1st liner 30cm , 2nd liner 35cm and 3rd liner 45cm.